Department of Homeland Security (DHS) Secretary Jeh C. Johnson announced in early January 2016 that the enforcement of the REAL ID Act has been delayed until January 22, 2018. The REAL ID Act, passed by Congress in 2005, went on to be enacted as a result of the 9/11 Commissions recommendation that the Federal Government “set standards for the issuance of services of identification, including drivers’ licenses”. The REAL ID Act essentially puts the onus on each individual U.S. state and U.S. territory to provide state-issued drivers licenses or ID cards that are compliant with Federal standards. For the license or ID card to be considered REAL ID compliant, one measure states must incorporate is anti-counterfeit technology into the card. States must verify the applicant’s identity, and must conduct thorough background checks for employees involved in issuing drivers’ licenses. “Bottom line up front: Effective January 22, 2018, air travelers with a driver’s license or identification card issued by a state that does not meet the requirements of the REAL ID Act (unless that state has been granted an extension to comply with the Act) must present an alternative form of identification acceptable to the Transportation Security Administration (TSA) in order to board a commercial domestic flight. Over the next two years, those states that are not REAL ID compliant are strongly encouraged to meet the requirements of the law for the benefits of their residents”. 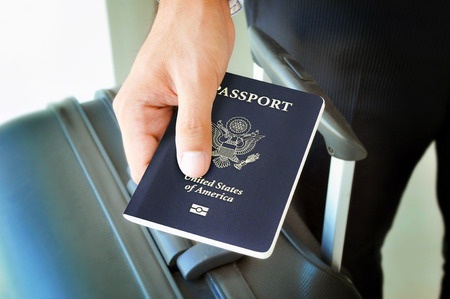 U.S. states and U.S. territories that are compliant with the REAL ID Act (as of this article publication): Alabama, Arizona, Colorado, Connecticut, Delaware, Washington D.C., Florida, Georgia, Hawaii, Indiana, Iowa, Kansas, Maryland, Mississippi, Nebraska, Nevada, Ohio, South Dakota, Tennessee, Utah, Vermont, West Virginia, Wisconsin, Wyoming. U.S. states and U.S. territories that are non-compliant with extensions (as of this article publication): Alaska, Arkansas, California, Guam, Idaho, Illinois, Kentucky, Louisiana, Maine, Massachusetts, Michigan, Montana, N. Marianas, New Hampshire, New Jersey, New Mexico, New York, North Carolina, North Dakota, Oklahoma, Oregon, Pennsylvania, Puerto Rico, Rhode Island, South Carolina, Texas, Virginia, Virgin Islands. U.S. states and U.S. territories that are non-compliant without extensions (as of this article publication): American Samoa, Minnesota, Missouri, Washington. Federal officials may continue to accept Enhanced drivers’ licenses from Minnesota and Washington. Currently, approximately 90% of all U.S. drivers hold licenses from jurisdictions that have either met the REAL ID Act’s standards or that have received extensions. Some states have suggested that their current status of non-compliance with the REAL ID Act is attributed to the somewhat prohibitive cost it will be to their states to switch to the new system required to make their identifications compliant. With the two-year extension, Secretary Johnson hopes that states can come up with measures in that extended period of time that will enable states to make the successful transition into becoming compliant. “The REAL ID Act establishes a national ID card by mandating the states include certain minimum identification standards on drivers’ licenses. It contains no limits on the government’s power to impose additional standards. Indeed, it gives authority to the Secretary of Homeland Security to unilaterally add requirements as he sees fit”. Paul joins many private citizens, as well as state legislators and state government officials, who oppose the REAL ID Act. Time will tell whether these opponents will come around to realize some measure of acceptance for the Act, or will continue to stand firm in their stance that the Federal government is trying to nationalize citizens even further, ‘tying the hands’ of individual states to regulate laws they currently have in place even more than they already have. For travelers with questions about their state’s REAL ID compliance status, now or in the future, they can go to the DHS website. Here they can see if their state is compliant with the Act; they can also review TSA’s list of acceptable forms of identification.